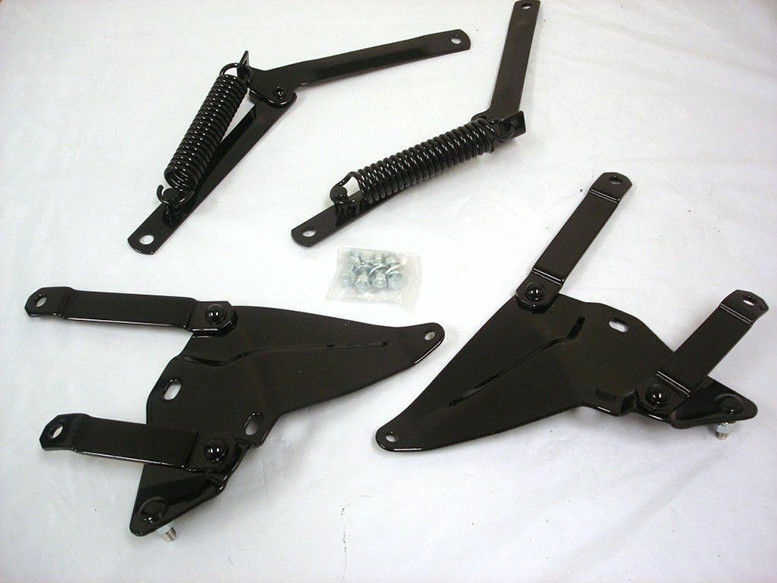 Brand new set of 1941 to 1948 Ford hood arm and spring supports plus the hood hinge brackets. 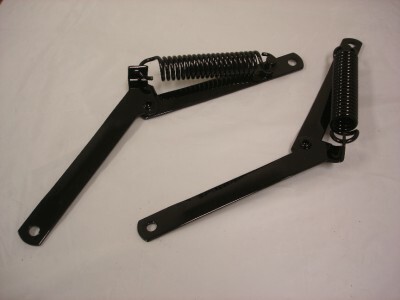 This complete kit is for the late model 1941 Ford cars and all 1942 to 1948 Ford cars. 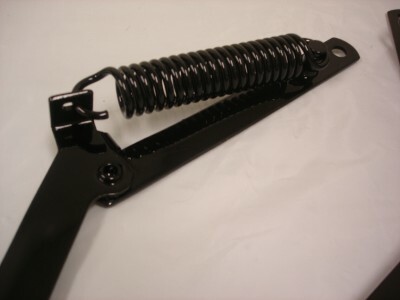 These heavy duty supports are a gloss black powder coated finish. 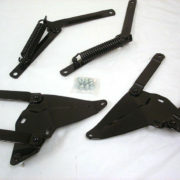 This is a PAIR of hood hinge brackets and a PAIR of hood arm and spring supports. 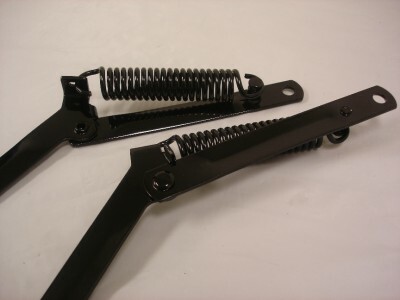 These are the perfect replacements for your old, rusted brackets and springs on your classic Ford. Remember, we can combine shipping on most parts, so take a second to search my eBay store for anything else you may need. Visit My eBay Store – new parts are being added daily. 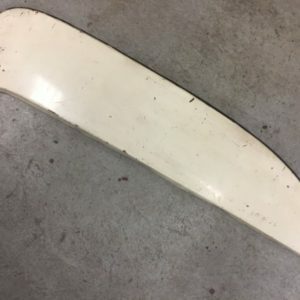 We also have a category of parts under $60 that almost anyone can use. 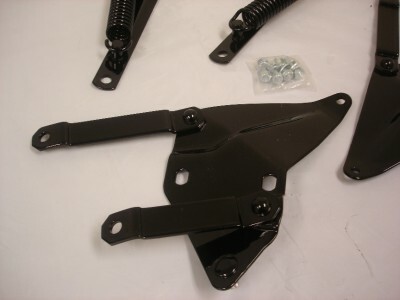 Whether you’re a novice rodder or an experienced builder, there is something here for you! CLICK HERE to check out this category in my eBay store. If you purchase an item from this category along with any other auction, you will pay no additional shipping. Just pay for the shipping on the first items. We prefer instant payments through PayPal. You may also call in and pay with your Visa, Master Card, or Discover at (319) 988-4046. 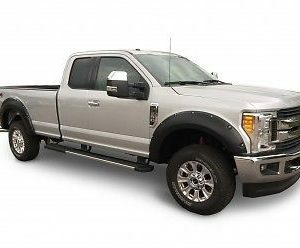 To avoid non-paying bidder warnings, please pay for any auctions you win within 10 days. Most orders will be shipped within 1-3 business days from receiving your payment unless otherwise noted in the auction. Shipping rates apply to the lower 48 U.S. states only. 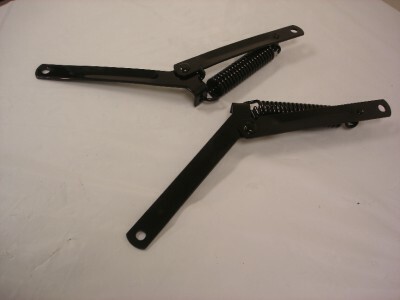 We can combine shipping on most auctions. Please wait for us to send you a combined invoice before paying. We cannot combine shipping if you pay for your items separately or on different dates. We will accept returns on merchandise that is in brand new, uninstalled condition. All returns must be approved by our office and will be subject to a 15% restocking fee. Buyer is responsible for all shipping and handling charges. Returns must be made within 14 days of receiving the item. 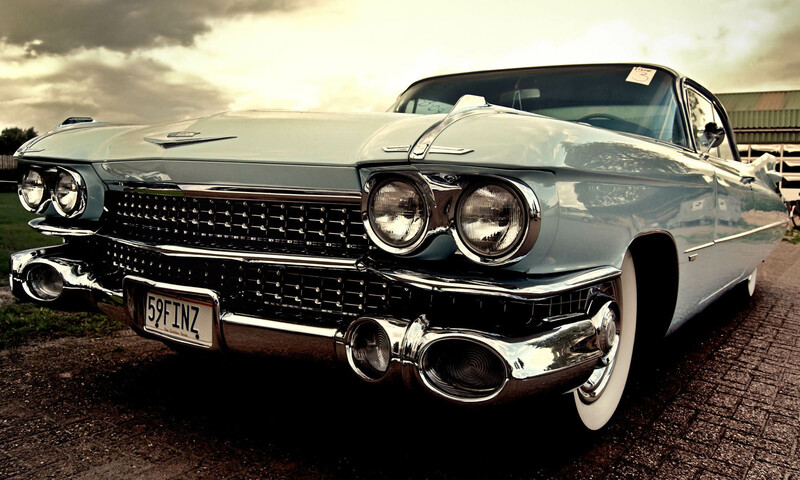 We have discount prices on thousands of parts for your Street Rod, Hot Rod, and Custom Car or Truck. 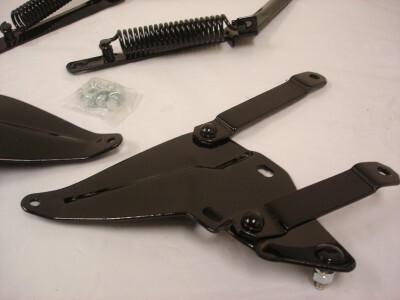 Parts are added to our store daily, so check back often for the latest deals! 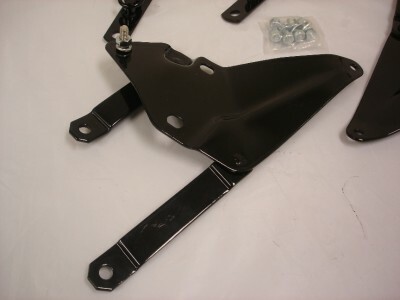 Plus, we have access to thousands of parts that are not listed. So, if you need something that you don’t see or want to make a change to an auction, please email us. We can change or setup any auction you need! We do get hundreds of emails daily, so at times it may take us up to 72 hours to respond to your emails. If you need a faster response, please please email us. Our office is open from 8 AM to 6 PM Monday thru Friday (Central time).